NEW YORK — Just like at home, it’s not unusual to find socks missing their mates in a dryer in your Laundromat. Where those missing socks go is anybody’s guess. But for a limited time, online socks company Bombas is taking the mystery out of deciding what to do with its socks-gone-solo. 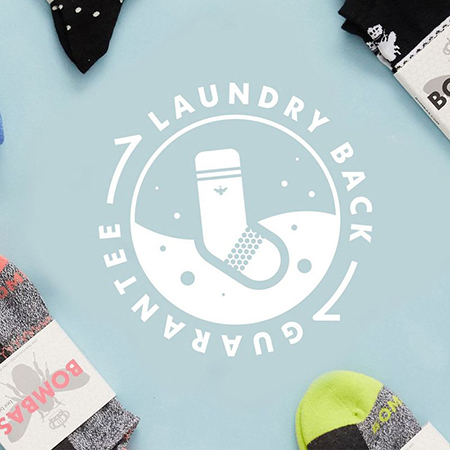 Anyone buying a pair of Bombas socks before Nov. 15 will do so with the guarantee that should one of their socks disappear in the wash within a year of the purchase date, the company will replace it, no questions asked. Depending on style, a single pair of Bombas socks retails for $10.50 or $12 on the brand’s website. A customer must simply contact the brand’s “Happiness Team” and request the replacement using an e-mail form on the Bombas website. The redemption is limited to one per customer.